Sizeable update, mainly just polish. The game should maybe be HookBOY now instead, (son of man, of course), due to my character's design. 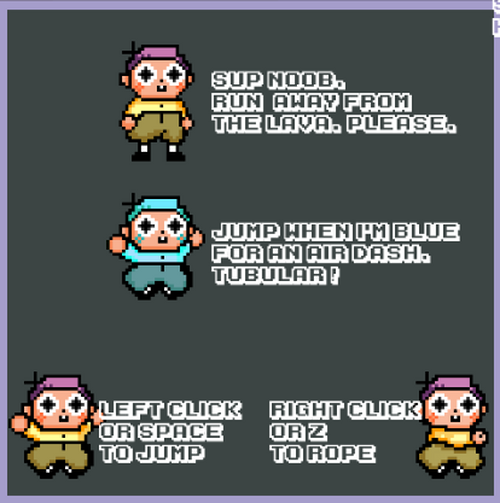 Finally got around to making a sprite, think he looks OK standing still but the running animation is a bit... janky. Made the lava look much nicer, and now it's a bit slower and fairer. I have also made a mobile version which runs, surprisingly, far better than the online version. Hmph.